It's Monday morning, sigh, and despite the fact that crawling back under the covers sounds like a great idea, since that's not an option, a little bit of sunshine is always a good way to welcome the week. 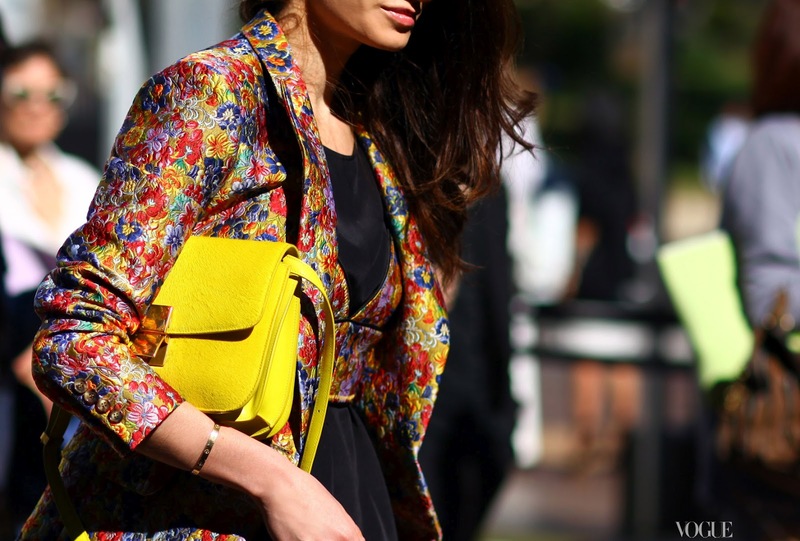 From citron dresses to mustard brocade to canary accessories, yellow fashions are heating up the street style scene. 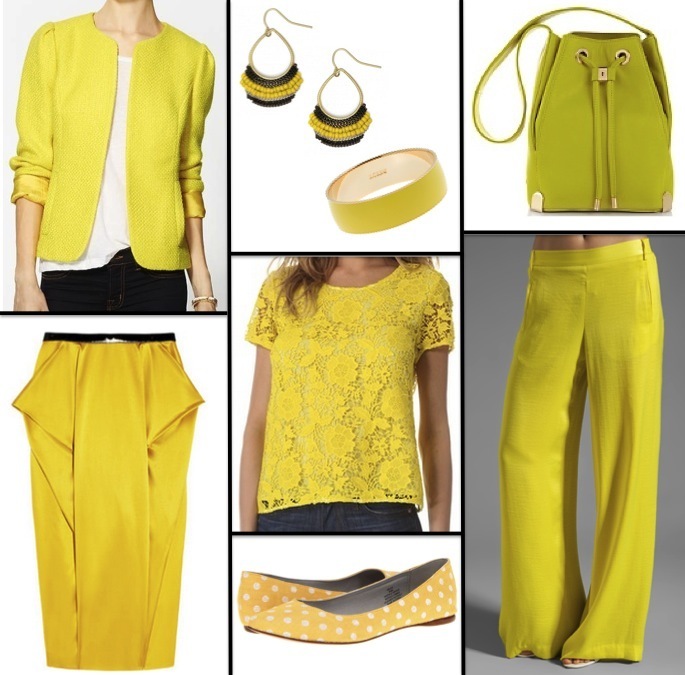 Yellow fashions are a great way to make a bold statement an instant mood lifter. Although I'm always attracted to bright yellow blouses, they usually don't work with my coloring, so I'll be expressing this color crush through something like a citron handbag. Yellow is one of my favorite colors. I have it a lot in my apartment, but I'm trying to work it more into my wardrobe. I'm in the mood for a bright yellow dress for spring! Yellow is my favorite color- it's so bright and cheery! 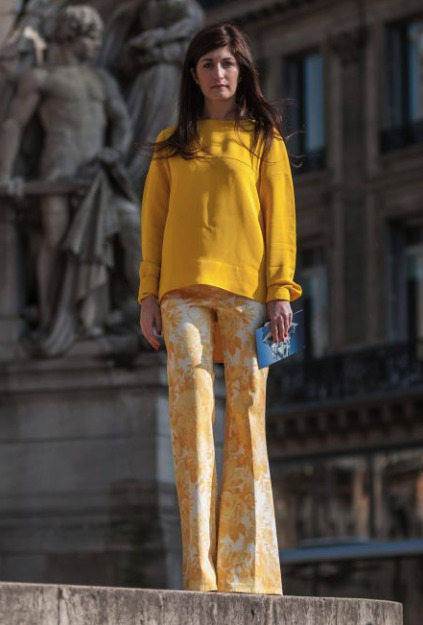 I love yellow for spring...definitely a statement and eye catching color! That last image is my favorite!! Hope you had a great weekend! I love yellow! Such a fun, bright color. It instantly makes me happy and I love that last outfit, so cute! Love these yellow picks! Definitely a pick me up on my dreary Monday! I feel happy whenever I wear yellow. This is one of my favorite colors for spring/summer. I'm currently on the hunt for the perfect yellow pump. Inspiring pictures!! Yellow is such an amazing color and I think it is such an eyecatcher! The outfit on the first picture and the one on the fourth picture are just perfect! Love it! Such a fun & pretty color for Spring...loving the yellow lace top! Yellow is my favorite - love it all!